If you have curly hair or experience constant frizz, this is the shampoo for you. I have very curly hair and it gets frizzy all the time, it drives me crazy. I picked up the Sunsilk Captivating Curls De Frizz Shampoo since it was meant for curly hair and reducing frizz. Anyone that has curly hair knows that we experience more frizz. Brushing my hair, drying my hair, styling it, the weather, everything causes the frizz to get worse. I wanted something that would reduce the frizz and help define my curls. The Sunsilk Captivating Curls De Frizz Shampoo helps to reduce the amount of frizz I have. It does not completely get rid of it but it does help. It works well with my curly hair and helps my curls stay in place. Since using the shampoo my hair seems to have a little more body and life to it. My curls seem bouncy and don't have the amount of frizz that they use to. Overall it works pretty well at reducing frizz in curly hair. You might like it, not me! Throughout the years I have tried my hands on more than a score of shampoos, and still I am struggling to find the best one. Sunsilk shampoo is one of the lot, which I tried many years back. I was not at all satisfied with the product. What made me to purchase this product was the TV commercial, where they showed bright, lustrous, strong hair as a result of using Sunsilk shampoo. I believed the advertisement shows the truth, I was such a kid! About this shampoo, it's very thick, foams well, but other than that, NOTHING! It was making me lose hair, bunches of hair on a daily basis. I gave up on this shampoo after three to four washes. This was no better than many more shampoos I have tried over the years. I really wonder sometimes that it might be better to use just plain water to wash the hair. I will not recommend this product to anyone, because I do not remember it doing any good for my hair. A great product for people with curls. I have natural curly hair and unfortunately because of the humidity of where I live my hair is always frizzy. With it red and frizzy on humid days I tend to look like Ronald McDonald on a bad hair day. I have spent a small fortune in hair conditioners that are supposed to take the frizz out but do not really work so I was a bit skeptical about a shampoo that was supposed to take out frizz. Much to my surprise it actually works! Not only is my hair no longer frizzy but my hair is noticeably smoother and silkier! I absolutely adore this shampoo now I have movie star quality hair instead of looking like I am at war with my hairbrush. Effectiveness It works exactly as described. The sun silk captivating curls de frizz shampoo works better than any other curly hair product I have used in the past. Scent The scent is pleasant without being overwhelming in the shower. It does not have that medicine smell to it that some products have that can be offensive to the nose. Overall I would just say that this product is good and just good. It didn't exceed any expectations or well me but it also did not disappoint me. Would I buy it again? Probably not. But there are several good things about this product. First of all I like that it was an affordable product making it easily available to anyone that would be interested in using it. I also really like the fact that the shampoo smelled really nice. It didn't print buildup on my scalp and it left my hair feeling clean. This shampooed didn't really add any kind of volume. I had never heard of the brand before so I would not have ordinarily bought this product. My grandmother gave it to me as a gift. This particular shampoo actually reminds me a lot of that clear shampoo that is now out. 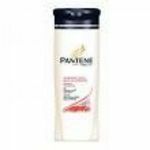 It is a simple shampoo that is not fancy or special in any particular way but it does it's job. I didn't try the conditioner that came with it so maybe that would have made a difference in the shampoo. The only negative thing I would have to say about the shampoo would be the fact that I felt it way my hair down a bit. Sunsilk is one of my favorite shampoos. It smells so good and it is super gentle on my hair. It also is not greasy and does not dry hair out. I would definitely recommend this to anyone with thick hair! I have thick, coarse hair, and this product does wonders to it. 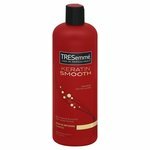 I also have a lot of heat damage but this product makes my hair so silky and so smoothIt also is reasonably priced. I use it every day. It has always given my hair alot of life and makes it feel silky. It is the best shampoo for me I've found. Have you ever had a shampoo you felt you just couldn't live without, well that's how sunsilk makes me feel. I feel like I can take on the whole world. No more frizzy hair! Effectiveness It makes hair feel clean and soft. I tried Sunsilk for frizzy hair and I loved it. I used the shampoo and conditioner along with a leave in conditioner. It really tamed my hair down. I actually could do something with it! I often find it on sale alot also so that is always great! I had several compliments on my hair. It was nice to actually be able to get it styled the way I like it! my boyfriend's mother gave me this as a christmas present, and she is so in love with this brand. i don't know what so special about before i use it. so here is my chance to use it. my hair feels so soft after taking a shower. my hair is very very frizzy after i take a shower, my hair is a bit curly so it gets frizzy and out of control. after using this product, my hair was not as frizzy as it used to be. i use other product before so i can control my frizzy hair, but nothing seems to work as well as this product. 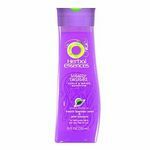 i have several friends who have frizzy hair as well, and i introduce them to this product, and they love it as well. i wish i found out this product a long time ago. it might make my life much easier. i love the smell of the shampoo too, it make my hair smells wonderful without smelling like a perfume. my family starts to use this product as well, and they love everything about it. i highly suggest anyone to try it. Sunsilk Captivating DeFrizz Shampoo is a good shampoo. Sunsilk Captivating DeFrizz Shampoo is a good shampoo. In fact, I do find myself using it more and more often these days. I am not sure why. I am the type person, while has a favorite brand of shampoo, who uses a lot of different shampoos. The reason is I get whatever is not that expensive, and I get a good deal on. I have never been dissapointed because I do go by recognizibility, recommendations, and so on. And so I do like this shampoo. If you have curly hair and have problems with frizz control, then this shampoo is for you. I always thought that one should use a conditioner for frizz control. My hairdresser said the right shampoo will help stop frizz in its tracks before it begins. She said a good shampoo does that and most of the time, does a good job as being a conditioner. I have never forgotten that either. This shampoo is a great shampoo also because it does what a shampoo should do...it makes ones hair very clean. You don't have to use much of it either, and one bottle lasts a long time.